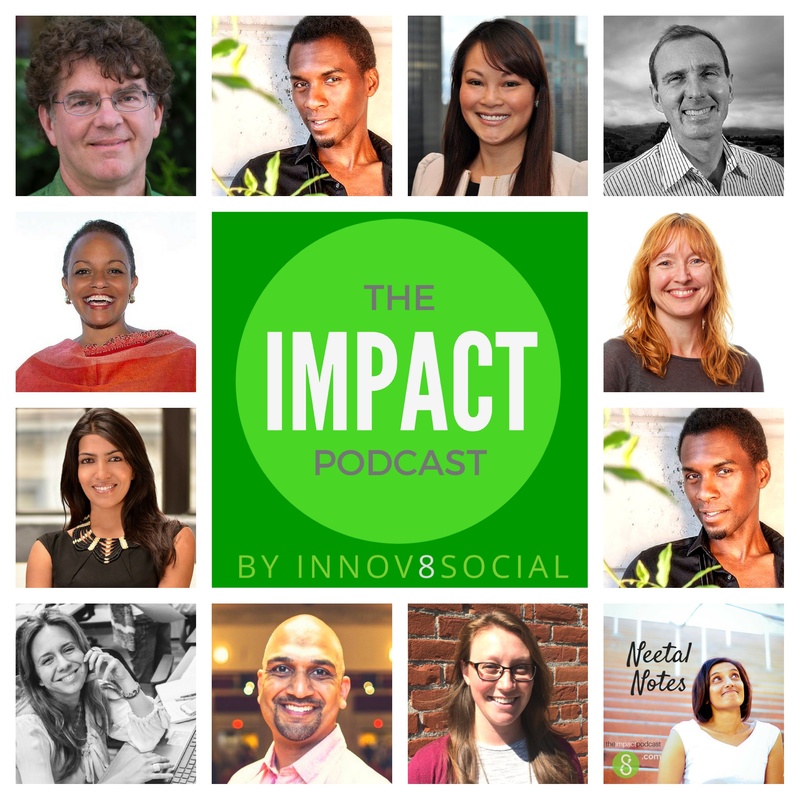 In this episode of the Impact Podcast, Innov8social founder meets Eileen Neely, Economist and Director of capital innovation at Living cities. In this episode Neetal discusses, with Eileen about social enterprise funding mechanisms like “Pay for Success”. We will also get learn about use cases, for this type of funding. Eileen Neely is the director of capital innovation at Living Cities. Living Cities harness the collective power of 22 of the largest foundations and financial institutions. At living cities, they develop and scale opportunities for people with low income and also help improve the cities they live. Eileen started her career as a housing economist, doing interest rate forecasting for the real estate industry. She also volunteered at the community development corporation for revitalizing the commercial corridor in D.C area. Eileen entered into the field of impact investing while working at Fannie Mae, by making construction loans for catalytic housing development. This was a niche part of Fannie Mae. They also ventured into non low income credit investments to revitalize communities. They lend out loans to government entities, who were working to push their housing agendas. When federal government took over Fannie Mae in 2008, Eileen reevaluated her career path. She found that working with public housing entities directly, would create a meaningful impact. So she started to work with Fresno housing authority during the recession to complete projects, using their own resources. After coming back to Washington D.C, after a cross country trip, Eileen started working at living cities. At Living cities, she took the experience gained at housing projects, and applied the same holistically across systems to improve the economic well being of people. Living cities found that they have done a lot for housing impact, and wanted the same to be applied to eliminate poverty. This lead to “Pay for Success”, which is a financial innovation that combines a performance based contract where the government pays if certain social outcomes are reached. This is called a social impact bond. Social impact bond is really a working capital line of credit or a bridge financing that allows the service provider to provide services. It does not care about the mechanism, but loves any contract that pays for the outcome. The “Pay for Success” concept enables private sector to invest in human capital to eliminate poverty. Eileen explained about the first project implemented, by the “Pay for Success” strategy. The state of Massachusetts wanted to reduce the rate of recidivism in the juvenile coming out of prison. There was a trend, where by 60% of these individuals, ending up in prison again within 5 years. Roca is a service provider , who has been working with this population for years, they have managed to reduce the rate of recidivism by 40% . The state of Massachusetts wanted to sponsor this program only if it is an outcome based model. So there is a contract between the state and the service provider to pay only when certain outcomes are reached. Roca loved to provide such a service, but it would cost 23 million to do the same. This is where private investors enters in, like GoldMan Sachs, Living Cities, Boston Foundation, New Profit, John & Arnold Foundation. They were willing to pay that upfront money for Roca. The last stakeholder in this investment, is to have third party evaluator to evaluate if Roko met the goals. In this case it is the urban institute, they will look the data and decide how much Roca will be paid. The Roca program runs the program for four years.